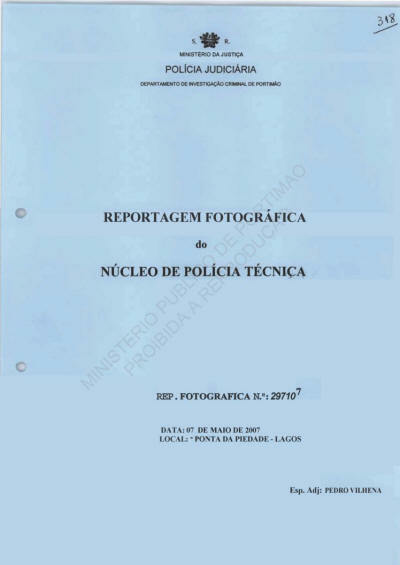 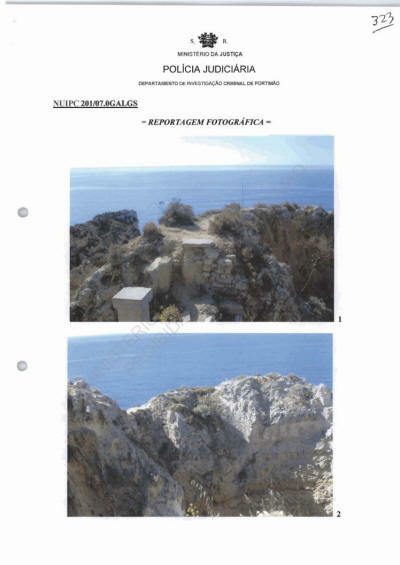 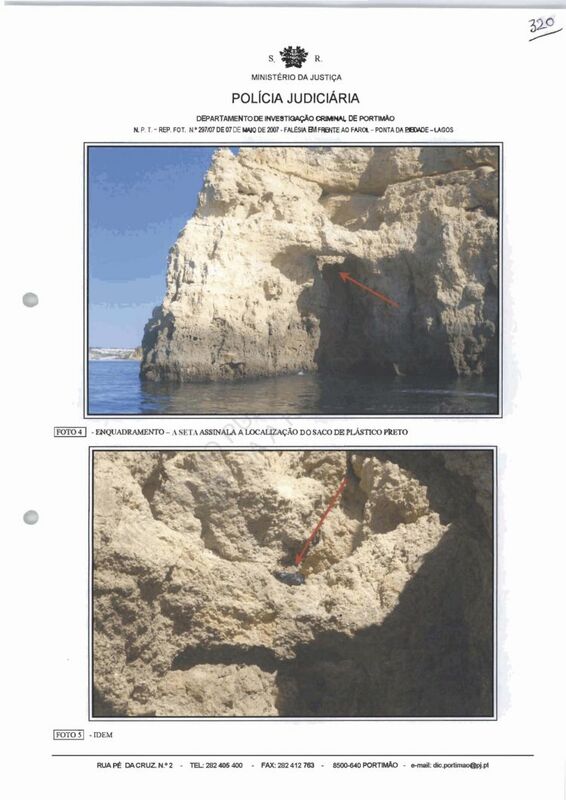 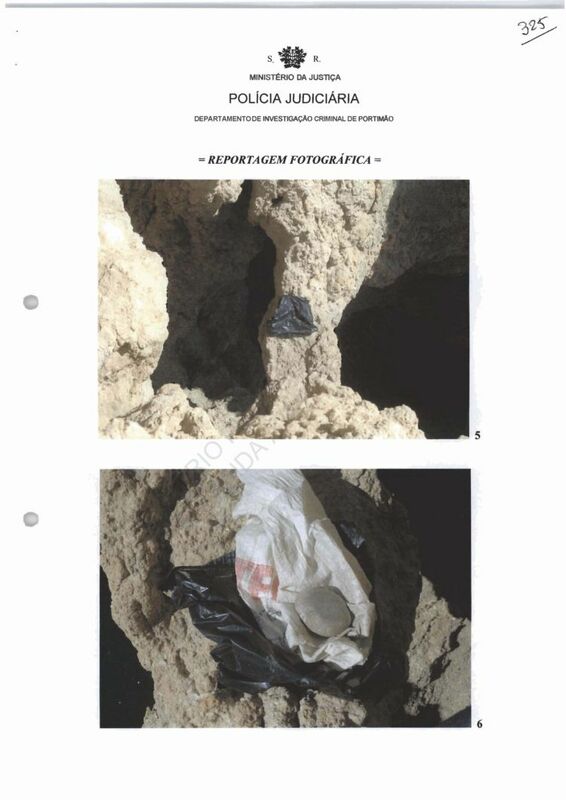 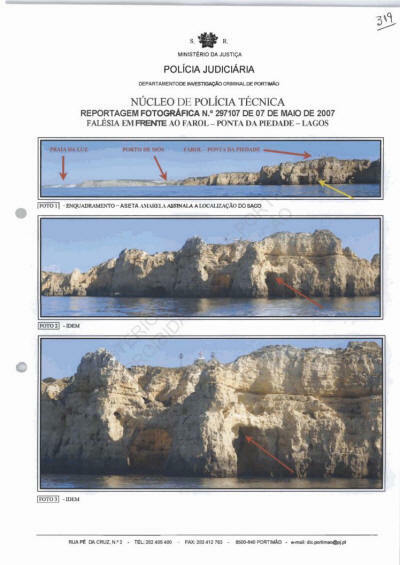 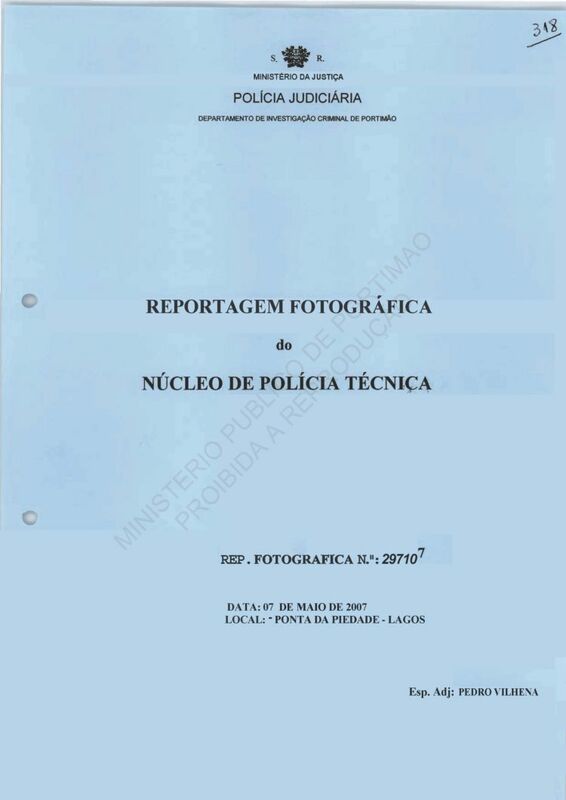 Yesterday afternoon, a German citizen, E***** V****, contacted the Lagos Maritime Police to say that during a boat outing in the zone in front of Farol da Ponta da Piedade, in Lagos, he saw a dark coloured bag amongst the cliffs, the bag was of some volume, contents unknown . Given that this individual was not available for the rest of the day, it was not possible for the Maritime Police to locate this object and the inquiry was programmed for today, in the morning. 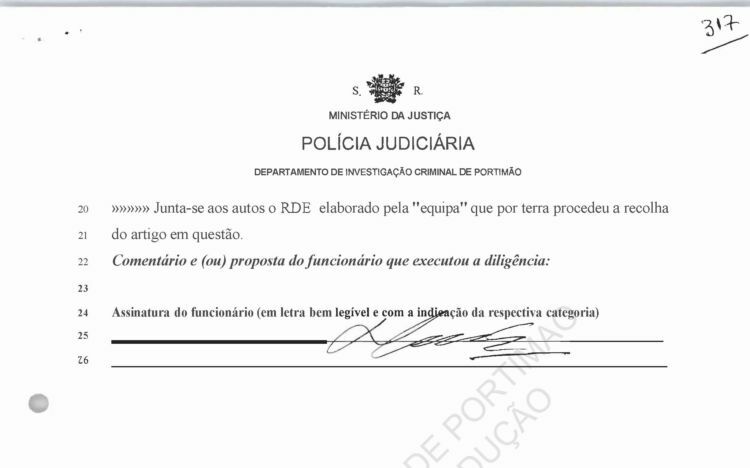 officers go to the same place via land. These officers managed to reach the bag in question and proceed to recover it. 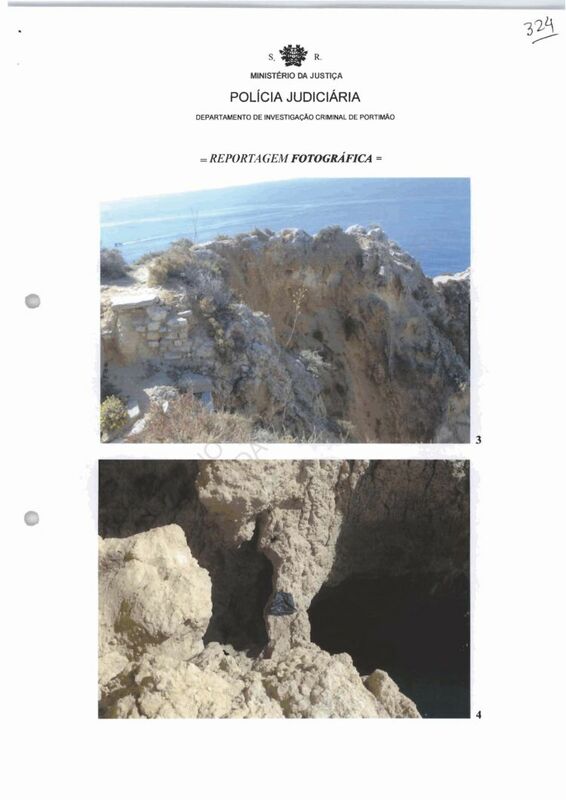 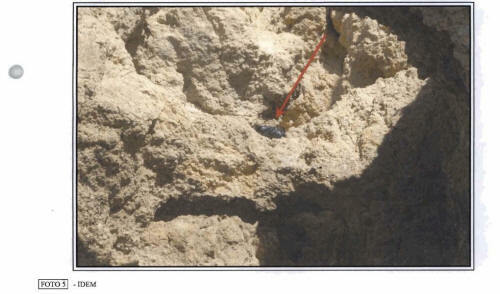 Photographic reports follow the statements with land-earth perspective. 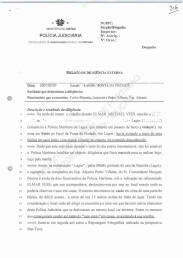 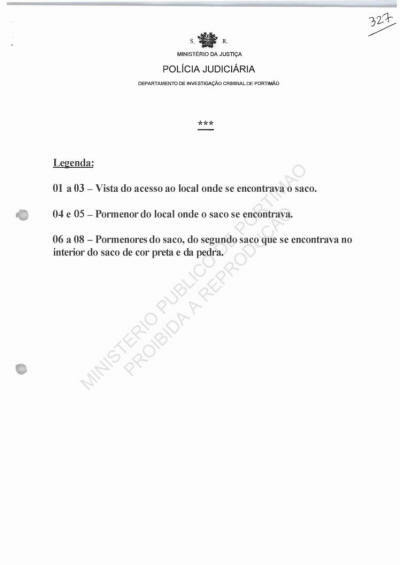 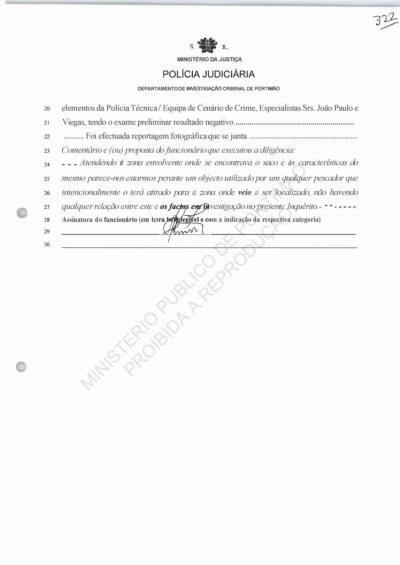 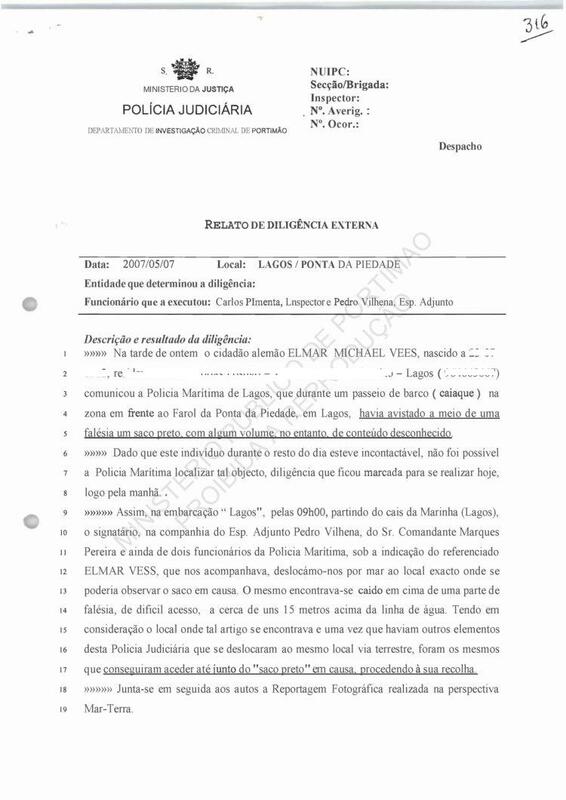 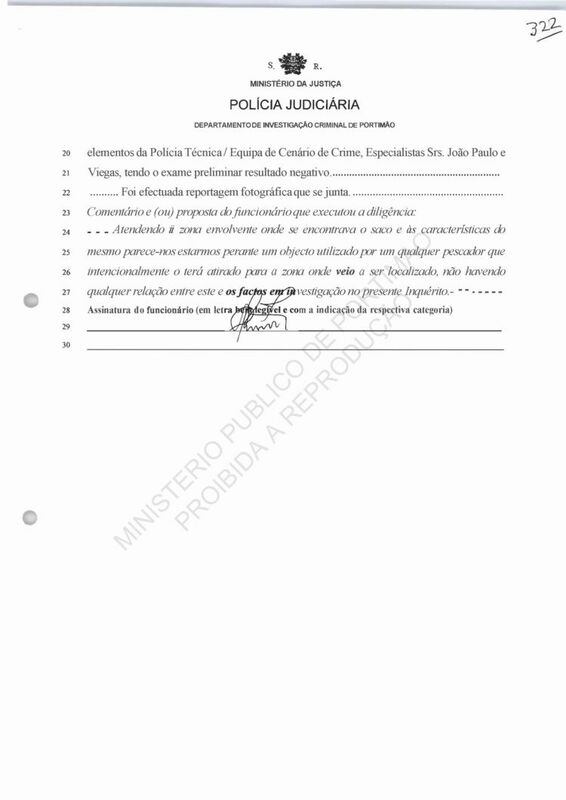 Attached to the statements is the RDE elaborated by the "team" which collected the article in question. 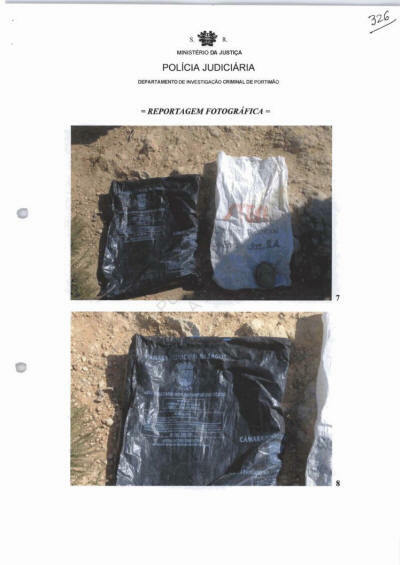 It appears to us that the characteristics of the location where the bag was found make it likely that it was an object used by a fisherman who may have discarded the bag and who has no connection with the facts of the ongoing investigation; Signature of the officer.